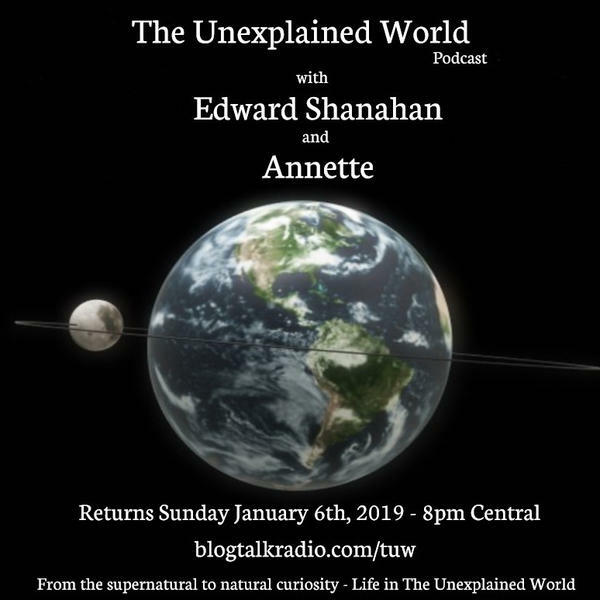 2015 is here and the 8th year of broadcasting The Unexplained World, podcast show. The thoughts of what is ahead in 2015 and also the what was toward the end of 2014. Also is there something paranormal investigators missing the investigations of their loved ones? Also thoughts will be sent out for the those sick and hurting in the world on this broadcast. Edward Shanahan is an author of two books and has been awarded Best Chicago Psychic by The Psychic Directory.